Are you and your boyfriend a Jim and Pam, or more like a Barney and Robin? Either way, comparing your real relationship to a TV couple could lead to a lousy love life. A new study in Mass Communication and Society surveyed 392 people who had been married for an average of 19 years. As it turns out, the more realistic you find depictions of TV romance, the less likely you are to be wholly committed to your actual marriage. Plus, you're also more likely to see marriage as a burden, and be open to the idea that there's someone better out there. On-again, off-again relationships in TV shows—built up by sweeps weeks and season finales—impact what you think a husband or boyfriend should be. Just like you look to your own past relationships and your friends’ flings to set standards, “television basically becomes another influence on your expectations,” says study author Jeremy Osborn, Ph.D., a communications studies professor at Albion College. And it’s not the number of shows you watch or how many hours you’ve spent watching reruns that matters, according to the study. Even a moderate acceptance that fictional relationships represent something true to life could result in a false sense of what love is. 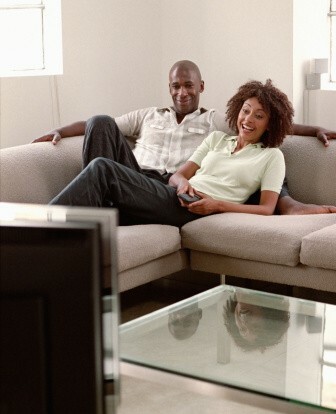 So we dug through our TiVo recordings and found the worst relationship myths you might have learned from your prime time viewing. Feel free to laugh and cry with these four shows—but don’t look to them for love and life advice anymore. The myth: The Emmy-winning sitcom rightly earns praise for its depiction of “unconventional” households, including a gay couple and an older man starting a second family with a younger woman. But Modern Family still follows the standard sitcom trope of introducing a problem with the couple and heightening it to comic proportions until the problem is finally acknowledged and resolved—all within 22 minutes. The reality: Sorry, Phil and Claire—actual relationship conflicts are rarely resolved in such a neat and tidy fashion, says Osborn. Sometimes you’ll need to head problems off early, and other times you simply need to let mild offences slide. The myth: There are quite a few myths on this “reality” series, which—shocker!—doesn’t exactly have a great track record when it comes to creating actual, stable marriages. A big delusion: the notion that women will tolerate a guy who casually dates a dozen different people while slowly weeding out his least favorites. Even more ludicrous? The idea that you’ll find a life partner in just a few weeks of lavish, alcohol-infused dates around the globe. The reality: If only it were that easy. “These couples go on incredible dates in exotic locations, only to come home and wind up having the same arguments about who left the cap off the toothpaste that the rest of us have,” says Osborn. The myth: One recent season of this long-running sitcom revolved around Ted—the guy who’s supposedly telling his kids how he met their mother—deciding if he should try and break up the marriage between a woman he has a certain amount of chemistry with and her wealthy, older husband. The reality: While the idea of stealing someone away from a partner who seems wrong for them is a very common trope in both TV and movies, forget about it in real life—if you have any amount of respect for the guy in question, you’ll let it go, pronto. Any man in a committed relationship should be completely off limits, until he’s not. That’s a basic rule. The myth: The heart of this crime drama revolves around the odd sexual tension between the stuffy female forensic anthropologist (that would be Bones) and the more intuitive male FBI agent she works with. But even though the two now have a baby together, there are still always other gorgeous men and women around to tempt the couple apart. The reality: “Most married people aren’t surrounded by available, attractive singles the way Hollywood portrays,” says Osborn. But seeing it on TV might make you wonder if maybe you should audition for the next season of The Bachelorette. Resist the temptation—and let this ease your worries about your guy: Married men are actually happier after getting hitched than they would be if they stayed single, according to recent researchers from Michigan State University.